Fridays are for…whatever the hell you want really! 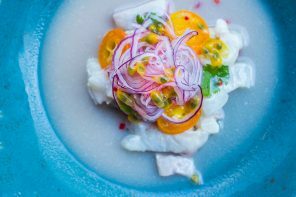 The weekend has started and with these rising temperatures we’re all eager to prep easy, healthy & tasty dishes. What are we eating today? Smoked chicken, fresh tomatoes, thinly sliced red onion, avocado and a shitload of cheese. 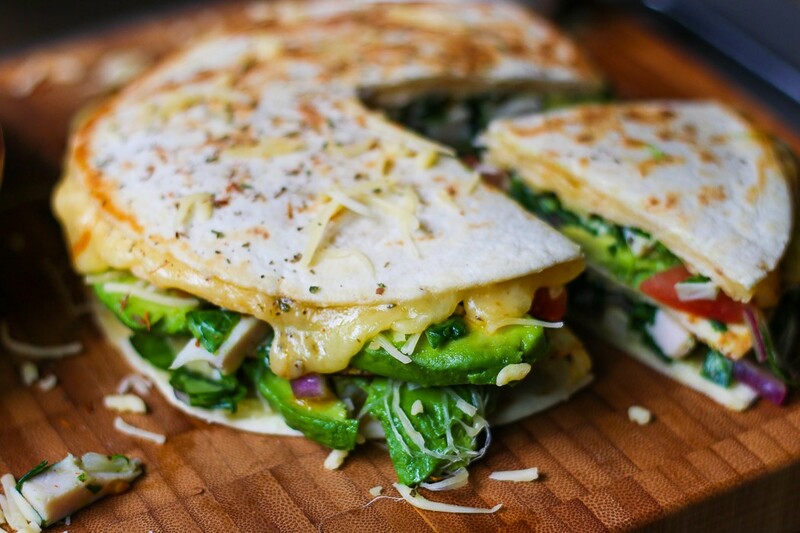 Scroll down for my easy recipe for this super tasty Quesadilla Pie! 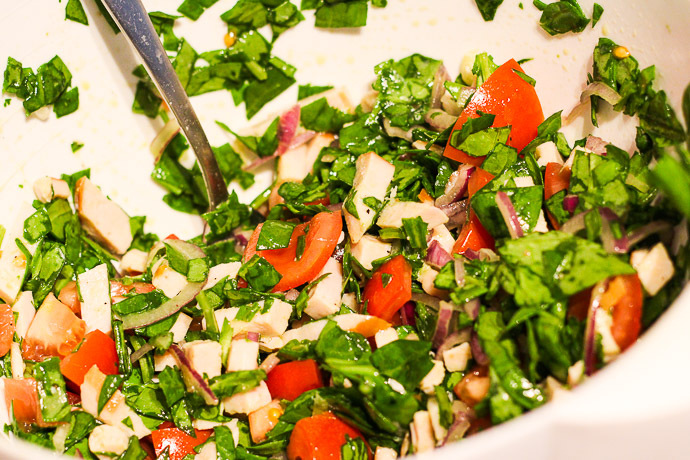 Chop up your spinach, tomatoes and red onion finely and toss together with smoked chicken (cut in small pieces). Sprinkle the juice of 1 lime and some olive oil. Season with salt and pepper. On low-medium heat warm up a tortilla on both sides for about 20-30 seconds. Add half the grated cheese, cover with another tortilla and gently flip over to heat up the other side of your quesadilla. 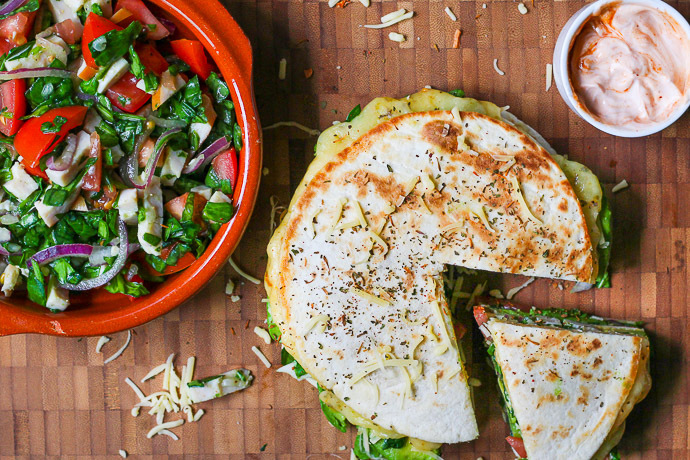 When the tortilla becomes crispy and the cheese has melted remove the quesadilla and place on a wooden chop board. Repeat this process for the top layer! 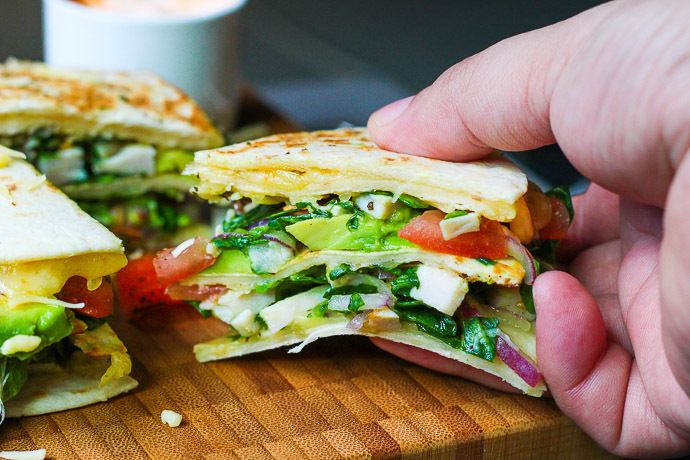 Add some of the smoked chicken salsa on top of the first quesadilla layer and cover it with thinly sliced avocado and the second quesadilla layer. Sprinkle some chili pepper flakes and serve along with your preferred sauce (I used a mix of skim yogurt and Chipotle sauce).